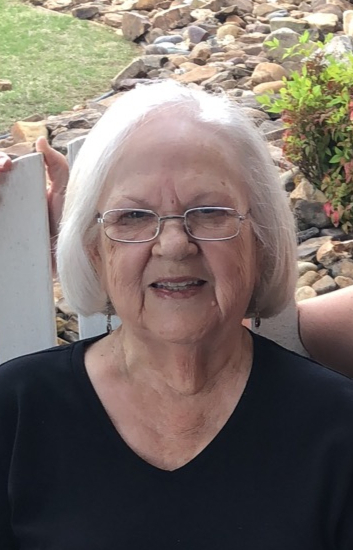 Services for Shirley Daily Spears Stamm, 74 of Vian, Oklahoma will be at 1:00 PM on Monday, January 28, 2019 at Agent Mallory Martin Chapel in Sallisaw, Oklahoma. 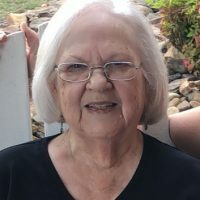 Burial will follow at Garden of Memories Cemetery in Vian, Oklahoma under the direction of Agent Mallory Martin Funeral Service, Inc.
She was born on October 4, 1944 in Carlile community, Oklahoma to Jessie (Walters) Daily and Walter Otis “Doc” Daily and passed away on January 23, 2019 in Vian, Oklahoma. She was married to Howard B. Stamm on January 30, 1978 in Vian, Oklahoma. He preceded her in death on October 15, 2005. Mrs. Stamm was a claims adjuster for the State of Oklahoma Unemployment Office. She was preceded in death by her husband, 1 daughter, Jamie Spears, her parents, 1 sister, Tommie Kidd and 1 brother, Carl Daily. Active Pallbearers will be Chad Lasiter, Sammy Lasiter, III, David Thornton, Keith Stewart, Henry Isham and Jason Fieldgrove. Honorary Pallbearers will be James Smith, Clayton Lasiter, Harold Lasiter and Sammy Lasiter, Jr. Viewing will be 10 am – 8 pm Saturday and 2 – 8 pm Sunday at Agent Mallory Martin Funeral Home where the family will greet friends 2 – 4 pm Sunday.